Shipping in Europe from 3.95€; and worldwide from 4.95€; No minimum order value. The price includes 19% VAT, plus shipping costs. Special 2 CD edition incl. a CD from Arsine Tibe (solo project of !distain member Manfred Thomaser). Also it includes a DIN A2 poster with the complete discography and a photo of the band incl. signatures. 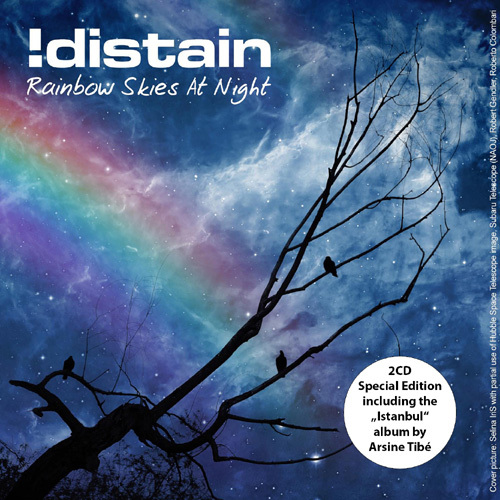 Tracklisting CD1: "!distain - Rainbow Skies At Night"
Tracklisting CD2: "arsine tibé - Istanbul"